Airship 27 Productions & Cornerstone Book Publishers are thrilled to announce the release of the third and final chapter in Michael Vance’s WEIRD HORROR TALES trilogy. 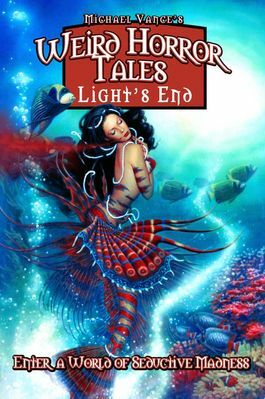 WEIRD HORROR TALES – LIGHT’S END, is an amazing, page turning suspense thriller that is one of this author’s finest works to date and a fantastic culmination to this masterful terror filled series. Welcome to Light’s End, a small, quaint little fishing town on the rugged coast of Maine. It’s a quiet place much like many other such communities throughout New England. And yet there is a presence of evil about the streets and byways of this harmless appearing hamlet. For here, amidst the age old Yankee traditions of its citizens lurks a dark secret, a brooding, religious philosophy which infects every aspect of daily life. Dare you enter Light’s End and uncover what lies beneath its pleasant, homey façade? Dare you challenge your sanity and confront the sublime horrors that await you here, in this cursed nexus of dementia. Award winning author, Michael Vance unleashes his dark imagination in this tense, gripping novel of sheer terror that readers will never forget. Often compared to the writings of H.P. Lovecraft, Vance’s work is not for the faint of heart, featuring a cover by famed painter Keith Birdsong and ten interior illustrations by Eric York. Bolt the door, lock the shutters and keep the candle lit, the end is near, Light’s End. 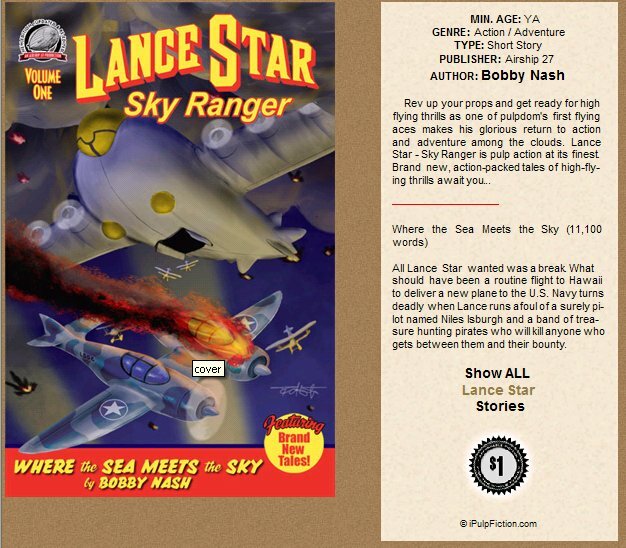 Bobby Nash's first Lance Star: Sky Ranger story, "Where The Sea Meets The Sky" is now available at http://www.ipulpfiction.com/ for the low price of only $1.00.